**Block Time:** 50-60 seconds average block time. 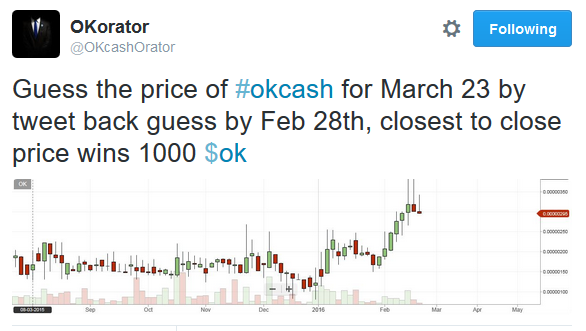 **OKCash** started a new tendency in the cryptocurrency world, by injecting a positive vibe into its design and code. A lot of new coins started to get created following these ideals, some even adding the "positive" into its names just like in OK's previous name. Sadly most of these new coins lasted for only a few months and others lacked the determination to continue with its commitment to the code and its community. Others had outsourced development, meaning not having in-house devs, which makes the development process harder to maintain and makes it hard to build an efficient system as there is no main Developer with a real understanding of the code. 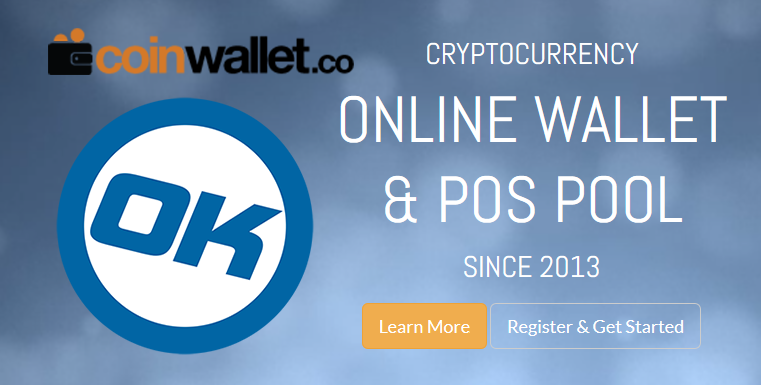 **OKCash** does not present such issues: the coin has been trading since Nov 2014 and the community continues to grow in all aspects, on social networks, in markets, in use, and with its in-house dedicated Dev it's been building a solid decentralized infrastructure that's directly reflected in the coin's efficiency and speed. OKCash is one of a handful of coins that has not presented any issues with its blockchain, working perfectly since the day it was released. Even the Branding process update was neat and easy for its users, showing once again its dedication to functionality and ease of use. 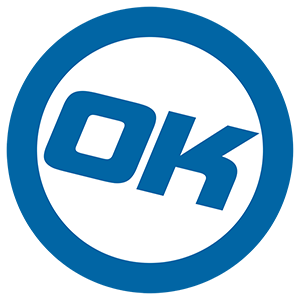 The initial motivation behind **OKCash** was to create a really efficient and fast coin with a funny association to the Pimpd TV show, evoking the phrase in the sense to "improve things" or "make things better". After the success of getting added to the first exchanges, and with the community interaction and feedback, the name became a "hot topic". Hence by Devs' and community feedback it was decided it was time for the coin to evolve and communicate the real philosophy behind its work. The community and environment itself were the driving forces behind this evolution, which is meant to provide end users with a cryptocurrency they can trust - with a name aimed for mainstream - and with the following qualities: speed, efficiency and ease of use accompanied by a dedicated and personalized working design. 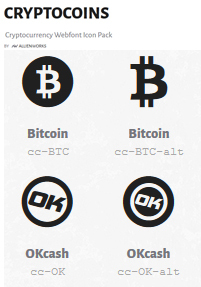 The **"OK"** name got selected to represent the new brand precisely because it reflects properly the coin's goals and attitude. OK is one of only 2 words in the whole world that requires no translation at all to be understood, giving it the potential for mainstream adoption without the hassle of trying to integrate the new name to different cultures. "OK" is understood the whole world over. **OK** reflects a positive outcome, speed and empathy. Security and user experience are the first thoughts behind any update or code modification. The addition of the word "cash" was made to give it direct inclusion into the financial sector and to communicate the whole concept in a word: "OKCash". **OKCash** has direct USD / OK markets at Bleutrade, making it possible to buy or sell OK directly for fiat currency. 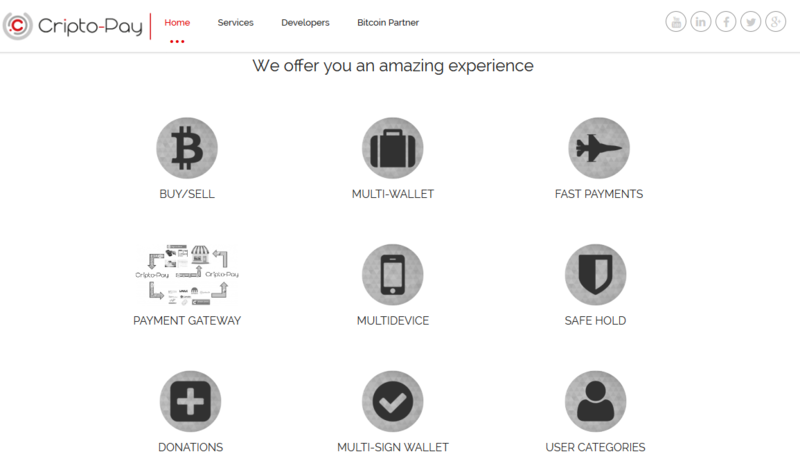 **OKCash** has been referred to as "The future for Social Payments" and "Bitcoin Grandson" it has one of the strongest social presences in the cryptocurrency environment. You can actually send OKCash anywhere in the world by the easy use of the Reddit and/or Twitter Tip bots. This makes it possible to send OK to anyone in the world, even if they have not yet installed and downloaded the OKCash wallet. Since the start, **OKCash** has provided constant updates, a dedicated site for them and has followed the Roadmap in time and form. **OK** is open-source; its design is public, nobody owns or controls OKCash and everyone can take part. History: Started as a PoW/PoS hybrid, meaning miners were able to use their gpu cards and special miner equipments to mine the coin for the first 15 days without halving to make it more fair to miners, After this Phase, OKCash became a Full Proof of Stake (PoS) Cryptocurrency, meaning the only way to create more coins is the process of staking. It had a Dev_Fund mined of 2,691,000 OK in 1st Block for initial distribution for the community. ( Dev Fund was fully distributed via Rains, Giveaways, Bounties, Quiz bots and contests to all the participant crypto communities. Full Dev Fund spent in the https://bitcointalk.org/index.php?topic=900784.0 Previous Community Record; Biggest Epic Rain Record with cross cooperation with other Altcoins communities). **Uses:** Spending, Sharing, Saving, Remittance, Social Tipping, Crowdfunding, Promotion, Bitcoin Support, Education, communications and much more to be discovered. 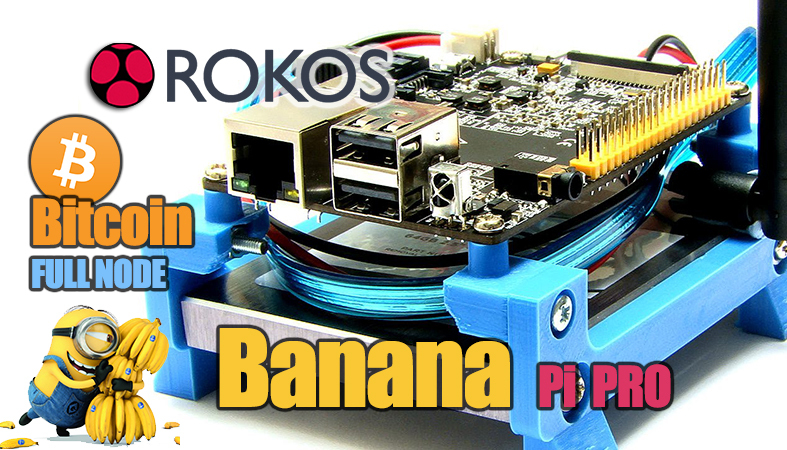 Very happy with all the users feedback, ROKOS already has 160+ downloads, and got published in a lot of different media sites in different languages. 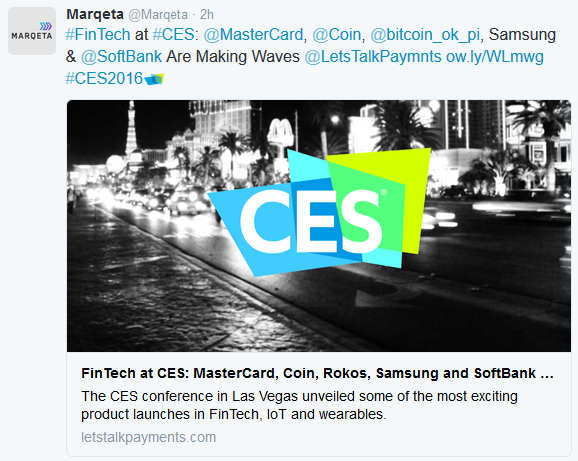 2016 has a lot of surprises for OK, 2015 was a great year for OK, OK is already one of the strong cryptocurrency networks. 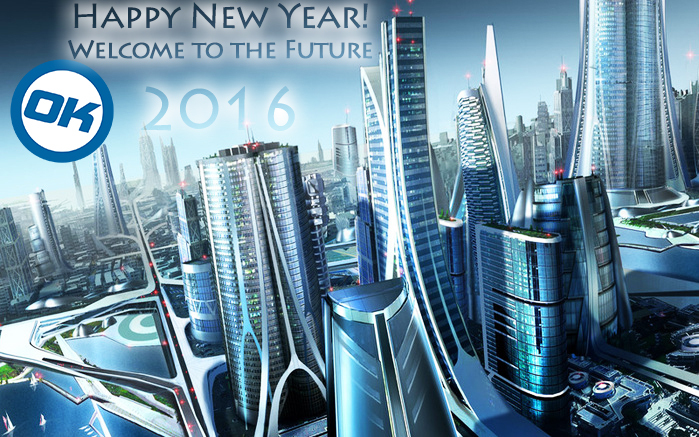 Will share some statistics over the coming days, Thanks for your Support and have a Happy New Year. So register @ https://btcpool.exchange and get the trade on!! We are adding it to OP and releasing an announce. We will divide the Exchanges section in "Established Exchanges" and "New Exchanges" to protect users while at the same time supporting new exchanges. New exchanges can get moved to Established Exchanges after 6 months and based on users feedback. Thank you. *** = wallet updated, if good users feedback/request and no more wallet issues will be able to get moved to established ones. 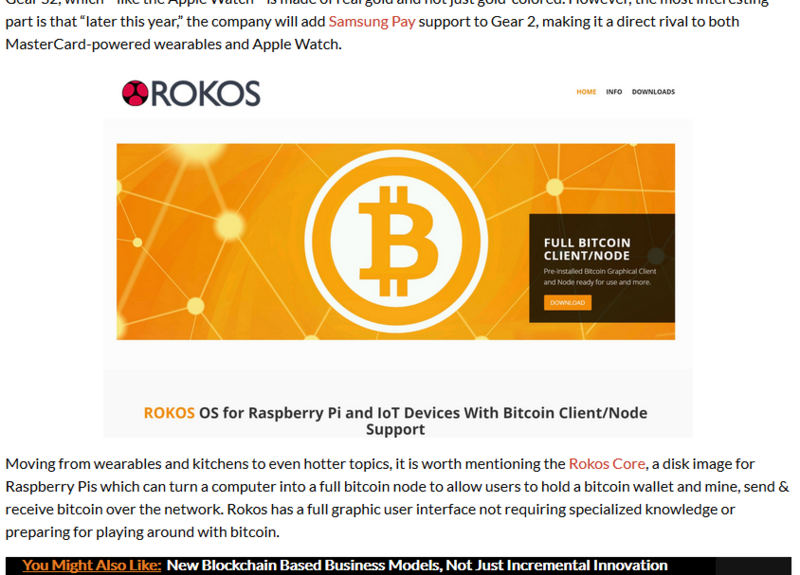 This are the requirements to get integrated into ROKOS, with a promo for the first 4 coins to become part of ROKOS "flavors" for every future release. 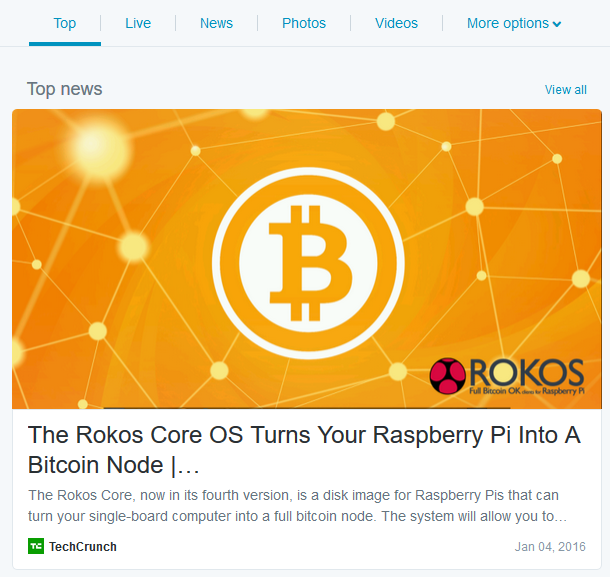 Want your Cryptocurrency Client and node included in ROKOS "Flavors" release? *Only 4 spots permanent add promo. Only 3 spots left.  Congratulations to GameCredits GMC for claiming the "first spot permanent add promo"
showing Real commitment to their communities to support long term adoption. 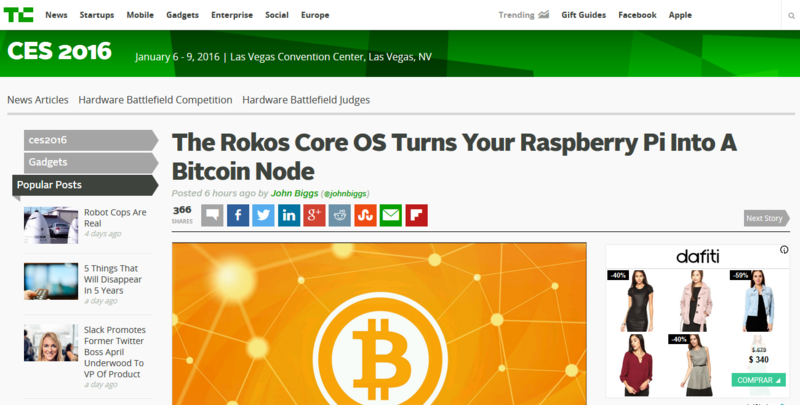 GMC is getting integrated in the base coins for all coming ROKOS flavors releases. Empower the users and Improving Crypto. Price for permanent base integration claims might increase for future releases. so I am opening a new promo to support the communities for the (per release tier) giving the chance to become a permanent base one and providing the small differences. while Per release get direct links at the Desktop. *Permanent added coins includes 2 wallpapers for their users at the "res" folder and are included in bigger size at the default wallpaper. Per release includes 2 wallpapers for their users as well, but share a smaller size of the default wallpaper. After becoming a permanent added coin, all future updates/releases are free. for the "Exclusive/Branded versions" the cost is 0.50btc and 0.10btc per update/release. Feel free to pm or ask directly on thread for any doubt/question. ROKOS flavors expect to release by the end of January with a maximum time frame for mid February. Friday 8th Jan 2016 will be the last day to receive new claims of integration for the upcoming ROKOS flavors release. BitcoinRush featured OK, this Friday. He works hard and holds a great pro informative and enjoyable show supporting Crypto and Bitcoin move forward. 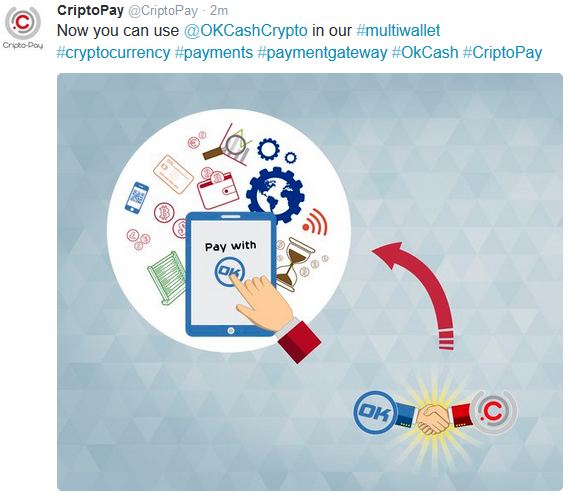 OKcash has now been added to the CoinWallet.co online wallet, POS pool service and Twitter tipping service. - Bootstrap (Normal and Instant Chain) updated to February 11 2016. Participa y Gana OKCash! Visita Cripto-Pay, registrate grátis y comienza a adquirir los mejores beneficios para tu empresa o negocio. 1. Registra tu empresa en Cripto-Pay.com para activar tu wallet, con tan solo una cuenta de correo y una contraseña. 2. Envíanos un email a [email protected] indicando que quieres participar en la promoción y te enviaremos material de apoyo necesario para informar a tus clientes de esta promoción. 3. 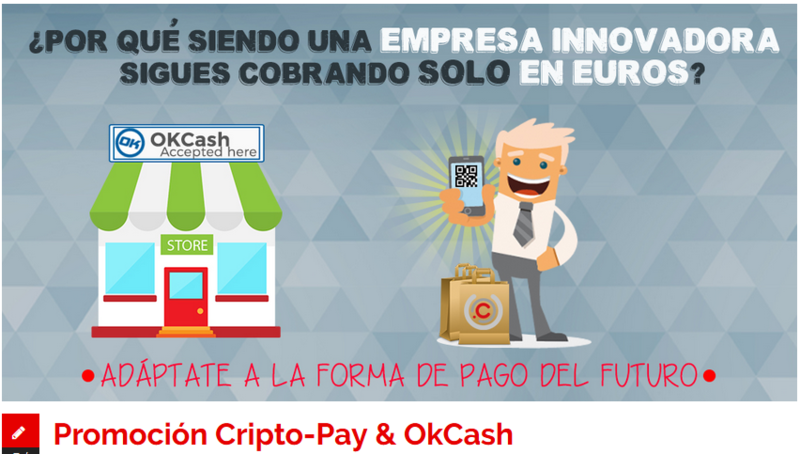 El cliente paga con OkCash alguno de tus productos o servicios con el wallet que desee. 4. Se enviarán 100 Okcash al wallet de las 100 primeras empresas que acepten un pago con esta criptomoneda. 5. Cripto-Pay notificará en las diferentes redes sociales y vía email a las empresas registradas cuando finalice la promoción. PREMIO FINAL: de entre todas las empresas participantes se sorteará la cantidad de 5.000 OkCash a la finalización de la promoción. El saldo aparecerá directamente en el wallet de la empresa que resulte ganadora, notificándoselo por email previamente. Cripto-Pay & OkCash Promotion Giveaway! Join and Enjoy the benefits today. 1. Register your company in Cripto-Pay.com to active your wallet, with just one email and password. 2. Send an email to [email protected] telling you want to participate in the promotion, so we will provide you all support material to inform your clients about it. 3. 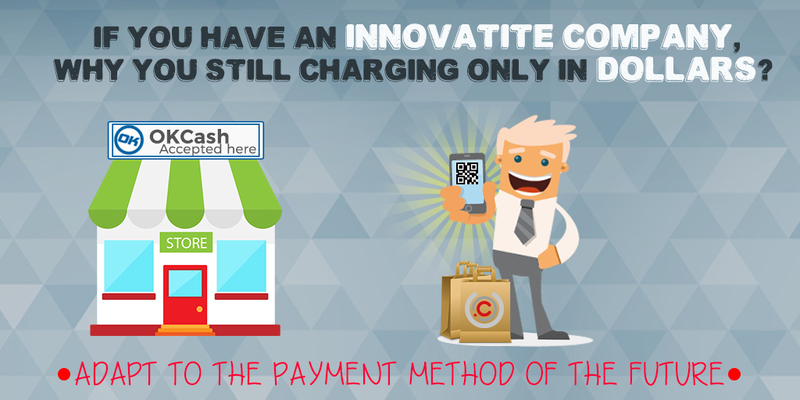 The customer pays with OkCash some of your products or services, regardless of the wallet used. 4. 100 OkCash will be sent to the first 100 companies that accept payments with this cryptocurrency. 5. Cripto-Pay will notify through social media and email to the registered companies when the promotion come to an end. FINAL PRIZE: Among participating companies will be raffled 5.000 OkCash at the end of the promotion. The balance will appear directly in the wallet of the company that wins, notifying by email previously. My incomes> charge> fill in the fields> generate collection> indicate the email from your client to forward the request for payment> the customer will only have to open the email and scan the QR code> payment made! We have a OKCash ideas raffle starting on the Tuesday 23rd February. To enter submit your idea for OK via our website. Your idea could be of what you would like to see developed for OK, it could be a new website project, an app idea or just a general idea of ways to improve and support / promote the OK adoption. Along with your idea please send 100 OK to our donation address P9N3bNxnn2PPvuEuQKwdwq4sK6tidKaWUp and include your transaction ID in your submission. On receipt of your idea, you will be issued with a unique raffle ID, keep this to hand as the raffle will close on 1st March 2016 and entries will be drawn just after this. The prizes for the raffle will be supported/sponsored by the donations we can gather for this goal in the next OK address: P9N3bNxnn2PPvuEuQKwdwq4sK6tidKaWUp, This is a great way you can step up and get involved with your community and support new ideas and innovation for OK and the empowerment of its users. Guess the price on close of day March 23 Contest. Must have your entry in by 2/28, this Friday. Just for funzies! Now go submit your ideas to Crypto Cloud! OK is honored, a Big Thanks from the OK community, you are creating new crypto standards. 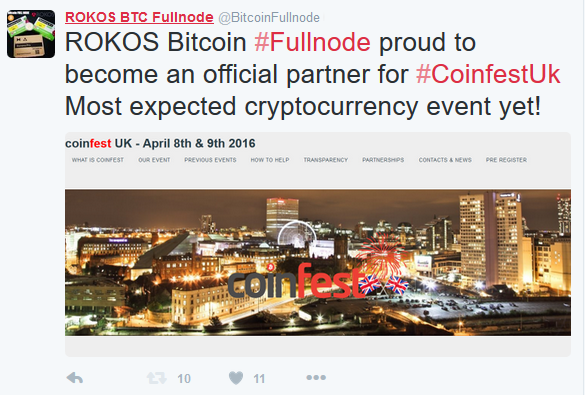 OKCash honored to become an official Partner for the CoinFestUK event. 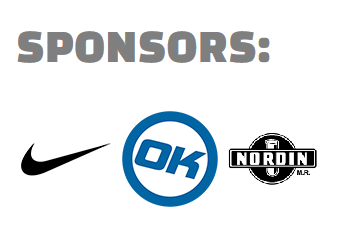 OK & Legend added on CoinFestUK partnerships.